Turn One Steering offers high performance steering components for full race cars to street driven hot rods. Their products are all made in the USA using family experience gained from years of working in the automotive industry. Pit Stop USA has all of your Street Performance needs including Pontiac Firebird (4th Gen) Steering. Pit Stop USA is The Online High Performance Superstore! 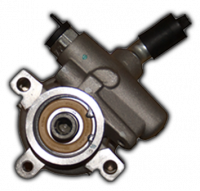 We feature Saginaw GM Type 2 Power Steering Pumps at low everyday prices. 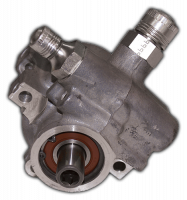 We have completely new as well as remanufactured stock appearing steering boxes. t is no coincidence that Turn One is located in Saginaw, MI. It's where steering grew up and where founder Jeff Roethlisberger got his feet wet. Jeff spent 14 years at the well-known Saginaw Steering Gear, GM's steering division, as a ride and handling engineer, specializing in steering development. Before that, his father, Jerry, was the Chief Engineer of Steering Systems at Saginaw Steering. So it is safe to say that we have hydraulic fluid running through our veins. In 1997, Jeff went out on a limb and started Turn One, building steering systems for NASCAR's top teams. Since 1997, we have been privileged to supply steering products for 19 of the past 44 NASCAR Champions. 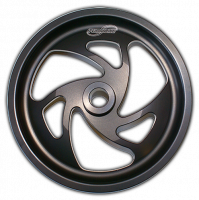 While supplying the racing industry with the best possible steering products on the market, we also supply the hot rod and restoration markets with the best of the best. Turn One is a family owned and operated business that knows steering. All of our products are made here in the USA. We strive to give you the best possible quality steering system. Every product that leaves our facility is custom built to suit your needs and dyno-tested to ensure on-the-job performance. Since we are a leader in high performance steering, we have unsurpassable knowledge and technical support for all of our products that we provide and service. We know that you, the customer, deserve the best quality and service that can be provided.